This downloadable e-product is compatible with Mac and PC. Upon purchase, you will receive a confirmation email which includes a secure link to instantly download your purchase. Once downloaded, you can begin your journey to fluency with our popular audio lessons and lesson notes. Before you take that trip to an Arabic speaking country get a solid foundation of Arabic first! Master the basics of Arabic conversation the fun, fast and easy way! 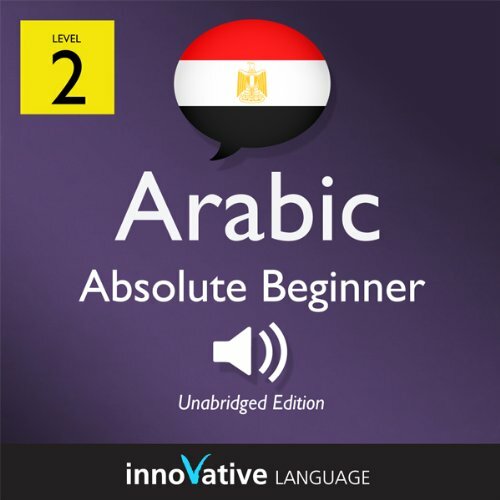 Start speaking Arabic in minutes, and learn key vocabulary, phrases, and grammar in just minutes more with Absolute Beginner Arabic. Our native Arabic hosts break down all the sentences, grammar and more in a simple, easily understandable way! This isn't stale textbook material - it's fun, effective, and practical! You learn basic beginner Arabic conversation that you can use immediately! This book is the most powerful way to learn Arabic. Guaranteed. - effortlessly learn from bi-lingual and bi-cultural hosts as they guide you through the pitfalls and pleasures of Egypt and Arabic. - master and learn to use Arabic grammar with the grammar section Interactive. Effective. And FUN! Last edited by deutsch3000; 05-20-2018 at 02:09 PM.